Pure currants with wild fruits that turn to fresh flowers. Full-bodied, with velvety tannins and a delicious, superfruity finish. Very long indeed. Cool and racy. Very fine. This impressive sleeper of the vintage boasts a deep ruby/purple color as well as abundant amounts of fleshy, black cherry and currant fruit interwoven with mocha, vanillin, and spice box. Pure, layered, upfront, and already delicious, it should be drunk over the next 12-15 years. The Clos encases a terroir of very great complexity. It is mainly composed of Quaternary gravel ("graves") over gravellysand and gravelly clay subsoils. We also fi nd clays which are variably deep and compact, but which sometimes break through to the surface. The proximity of the Gironde River has created the wide diversity of soils, formed over various geological periods by successive superimpositions. The river also creates a special microclimate that enables very early ripening of the grapes and protects the vineyards from frost. 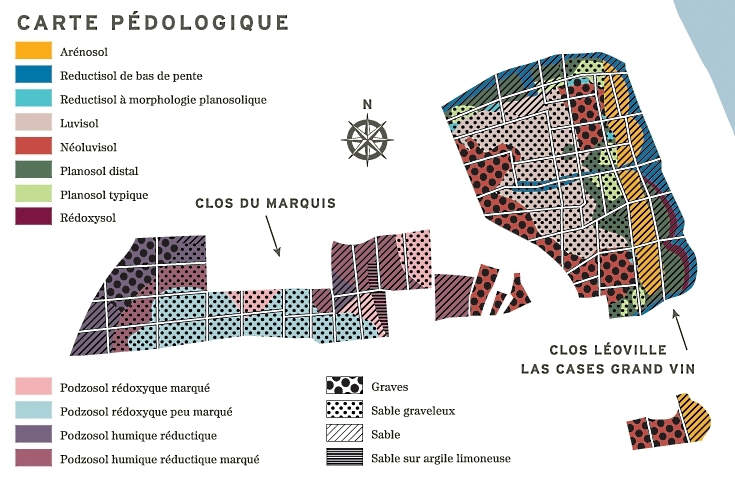 This cameo of geological combinations infl uences the growth of the vine and the composition of the grapes: regular but restricted water supply and a very low intake of nutrients bring out the best in the great Cabernet Sauvignons and Cabernet Francs which usually achieve their full potential whatever the vintage. The incomparable terroir gives this great wine its unique personality.